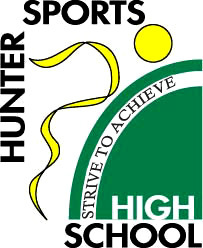 Hunter Sports High is a partially selective high school located on the Pacific Highway at Gateshead. The 900 students enrolled at the school are a mix of local students and students selected to participate in the Targeted Sports Program. The selected students come from as far as the Central Coast, Hunter Valley and the Port Stephens area, to take part in the sports programs the school offers. At Hunter Sports High School we strive to integrate a high level of academic and sporting achievement in the curriculum. We also heavily promote the community and cultural programs that are so necessary for a well rounded school life. Hunter Sports High values academic excellence and provides a progressive education in a dynamic and caring educational environment. Hunter Sports High School’s Big Picture Academy has evolved from ongoing research into alternate educational learning models that focus on individual student interest. It is strongly supported by the executive and staff and we encourage parents to join in learning goal planning discussions and attend exhibitions. We started with two Year 8 Advisories in 2012 that have continued into 2013 (Year 9) and 2014 (year 10). In 2014 we began new Advisories in Year 8 and Year 9 and in 2015 we will start a senior Advisory in Year 11 when there will be approximately 80 students in our Academy with 17 to 20 students in each Advisory. Each advisory has its own space where students attend specialist classes in Mathematics, English and Sport. They also have the opportunity to enrol in mainstream elective classes or to accelerate to higher levels of study. At least one staff member in each faculty is trained in Big Picture Design. Each Advisory runs for 30 minutes each morning to plan the day and to check work completed every afternoon. The Advisor supports students to develop learning goals, to et up and monitor internships and to assess and provide feedback to students. Students spend a day or more per week on internship and complete a project to further their learning experiences in the community. Students have had a range of internships in physiotherapy, carpentry, bricklaying, mechanics, jewellery making, bike servicing, hairdressing, beauty therapy, photography, technology game design (at university) and as veterinary assistants and teaching assistants at primary level. Students receive learning advice, coaching, consultation and expert input from a broad range of people within and beyond the Big Picture Academy environment. Students present four exhibitions per year and assessment is frequent including self and peer assessment. Advisors, mentors, peers and other learning experts constantly provide feedback on students’ learning. We are currently investigating a Big Picture inspired primary school program with our partner primary schools within our Waiyarang Community of schools.